One of the biggest concerns in any hospital is patient safety. A good number of issues are related to medical errors, and are easily preventable in most cases. The advent of wearable technology now makes it easier than ever for hospitals to keep patients safe and prevent dangerous medical mistakes. 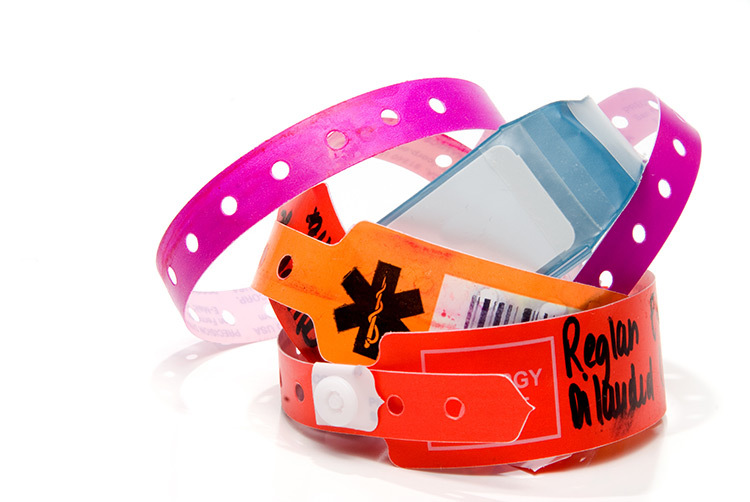 Here are just a few ways that hospital wristbands have improved medical care, while incorporating safety into every aspect of treatment. A common error made in many hospitals involves administering the wrong medication to patients. A study conducted by the Agency for Healthcare Research and Quality showed that using barcoded hospital wristbands can greatly reduce the number of medication errors, especially when they are used in conjunction with an Electronic Medication Administration Record, or eMAR. According to the Institute of Medicine, medication errors are largely preventable, so the use of barcoded patient bands could save up to 98,000 lives each year. When patients must receive blood products, it is extremely crucial for them to receive ones that are compatible for them. As such, barcoded wristbands greatly enhance patient safety, because they allow nurses to quickly identify an individual and confirm his or her blood type. Next, the blood product is scanned and verified against the patient’s medical information. Finally, the doctor’s order is quickly reviewed to ensure the right product is being administered. All of this takes only a minute or so, yet allows medical professionals to accurately double check data and request any modifications that might be necessary on the spot. It may seem unthinkable, but thousands of patients over the years have had the wrong procedure performed on them. When this happens, it poses a risk to the patient who received the treatment, as well as the one who needed it but didn’t get it. When hospital wristbands are scanned before a procedure, it prevents this scenario from happening. Medical professionals can quickly determine whether or not they have the right patient, and that they are indeed prepping that person for the correct procedure. Developing a course of treatment often depends on the ability to accurately track laboratory specimens. Barcoded wristbands make it much easier to do this, because labels can then be printed and attached to the specimen to simply the tracking process. This ensures that accurate results are provided to each patient, and eliminates the need to collect a subsequent sample. It also permits doctors to diagnose cases much quicker, which in some cases could mean the difference between life and death. Barcoded wristbands provide accurate information in real time to help doctors, nurses, and other healthcare professionals provide better treatment for their patients. Hospitals who have already begun using them report lowered costs and an increase in patient safety. As these benefits become more widely known, the odds of even more medical facilities using them will only increase in the years to come.